The boys go into the diiiiiigital woooorld and see what's happening when computers are evil and stuff. Awesome soundtrack though. Worth buying the soundtrack for sure. Meanwhile in the current year, the academy awards ignores motion capture artists because "Well it's not real acxting, is it?" I wondered if Jim would bring this up and I hoped one of them would. Because it's just the highest quality BS. @nebthtet: McDowell played the role in the games and the animated series. David Warner portrayed Tolwyn in the movie, which we've covered previously on the show. He wasn't goddamn Tolwyn!!! Tolwyn was played by Malcolm McDowell! @petar-krastev-375096424: As the man in the stall said to the man waiting, "give me time, baby." All fine, Bloodraine 2, but when are you doing Scott Pilgrim? It have enough Videogames in it to fit in the topic. Gridbugs come up again in Tron Uprising... Uprising in general was 100x better than Legacy was, in terms of expanding on Legacy's barebones story and linking in some elements from the original movie. @darkalter2000: You've basically described the entirety of the podcast. The 3D video game is awesome though. I'm gonna just start skipping these annoying rambles you drop into. They are never worth it. I fight for the Movie Boys! 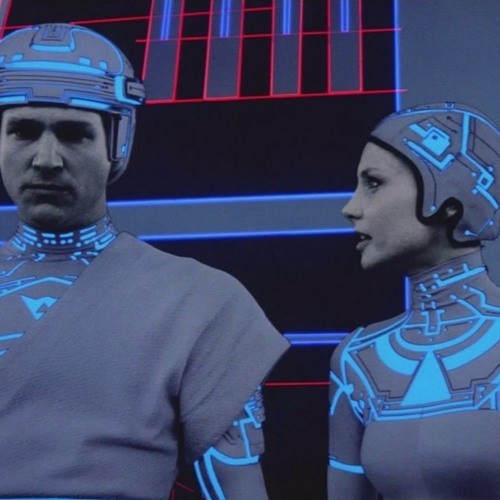 Monolith's Tron 2.0 was great fun and managed to do a much more in-depth exploration of the world and its characters. It was supposed to be official canon but Tron Legacy shat on that by erasing/ignoring the only human character of any importance. so basicly the typical tech CEO you might find at most large companies today? I love the Light Cycle scenes, but the pacing of the movie is so slow.